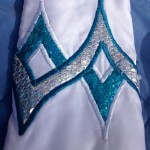 Beautiful solo dress for sale. 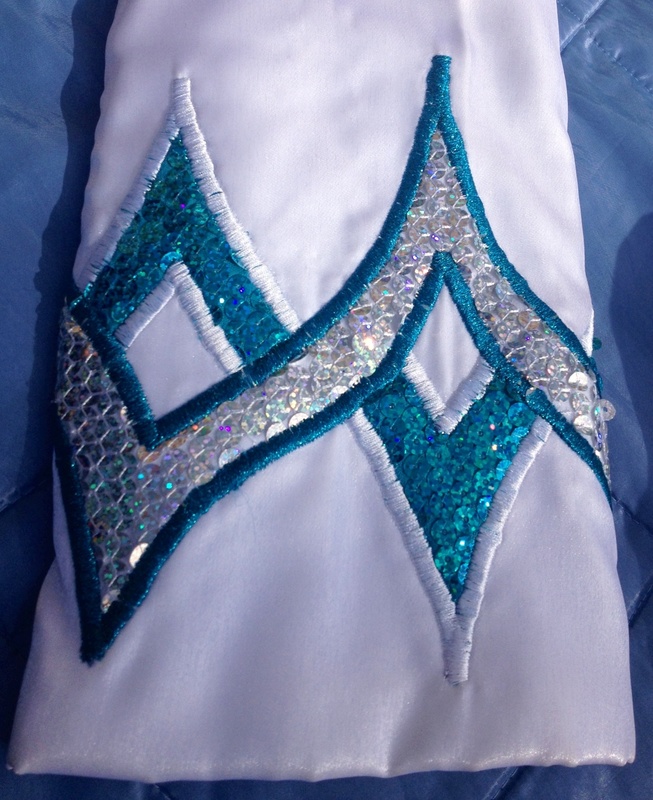 Pure white twinkle satin with turquoise and silver sequin detail. 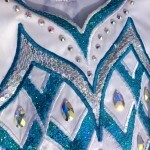 Genuine Swarovski crystals. This dress really stands out on stage. 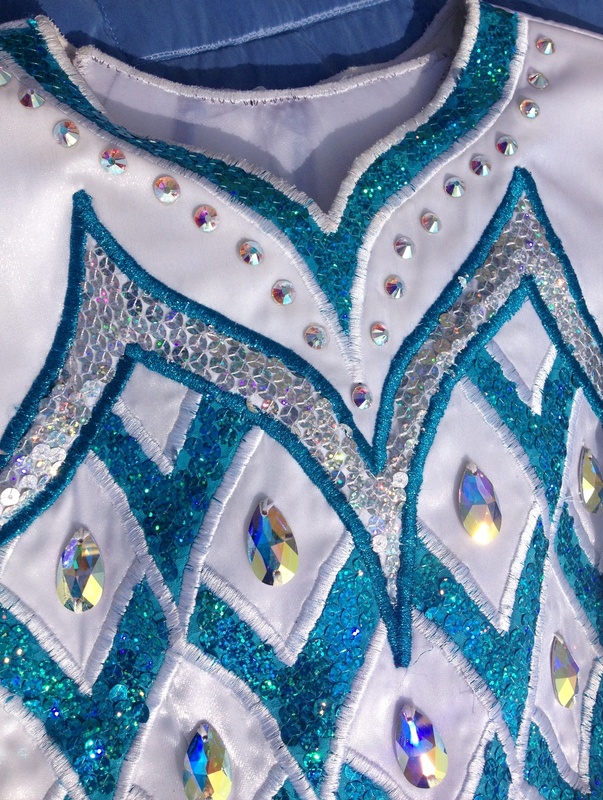 Dress is in perfect condition, clean inside and out, no missing crystals, no odours and from smoke free home. Sadly outgrown by dancer. Open to offers for quick sale. Room to take dress in and to shorten skirt.